The technique, 'bleaching-assisted multichannel microscopy' (BAMM) takes a current long-standing weakness of fluorescence microscopy – photobleaching – and turns it into a strength that improves imaging output by up to three times, with no additional hardware required. Reported in the journal Biomedical Optics Express, BAMM will help researchers gain biological insights into the intricate processes taking place within living cells. This includes the interplay between proteins and molecules which have the potential to impact a wide range of health areas from fertility, to pain, to heart disease and more. "Fluorescence microscopy is one of the most widely used techniques in biology. This is where light emitting molecules called fluorophores are bound to extremely small cellular targets such as proteins, genetic material or other biomolecules of interest," says Dr. Antony Orth, CNBP Research Fellow at RMIT University and lead author of the research paper. "When the fluorophore is excited by light from the microscope, it reacts by emitting a specific colour signature. Seeing that colour signature under the microscope helps us view, track and understand the cellular target that the fluorophore has been bound to." Notably says Dr. Orth, you can attach different coloured fluorophores to different cell targets, all in the one sample, to maximise the data and imaging information that is received. "The visible colour spectrum spans a range of 400 nanometres (nm) to 700 nm and only about 200 nm of this range is available for fluorescence colour emission," explains Dr. Orth. "A typical fluorophore emits over a 50 nm range of the colour spectrum. Dividing 200 nm of the visible spectrum into 50 nm segments means that the colours of the fluorescent emitters begin to blend together when you attempt to squeeze in more than four colours." "This is generally limiting researchers to four or fewer fluorescent targets in a sample," says Dr. Orth. "Typically, most experiments are even less ambitious, incorporating only two or three targets. The heart of the problem is that only one property of the fluorophore – its colour – is being used for identification." 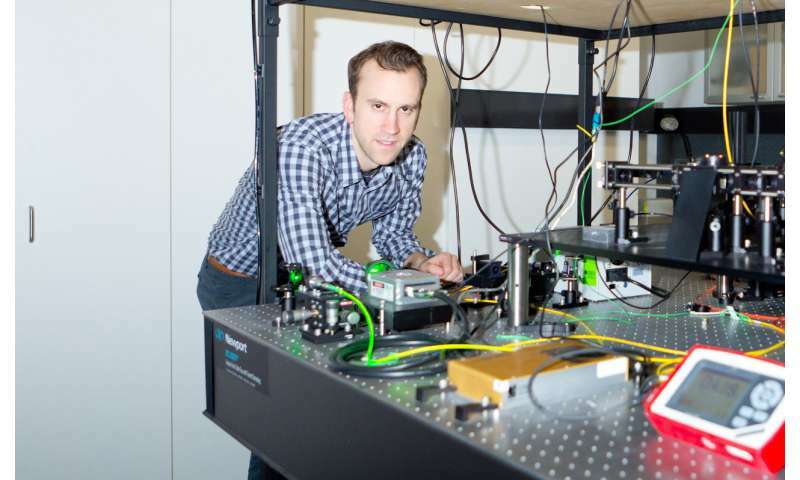 To help overcome this limitation, Dr. Orth and his co-researchers have developed an innovative technique called 'bleaching-assisted multichannel microscopy' (BAMM) to increase their imaging output. "Instead of using colour to differentiate between fluorophores, we use the fourth dimension of time and exploit a phenomenon called photobleaching—the dimming of a collection of fluorophores or pigments under repeated exposure to light," says Dr. Orth. "Because each type of fluorophore photo-bleaches at a different rate, we can differentiate between fluorophores without using any colour information. We use the rate of photobleaching as the identifier." "When paired with traditional colour information, this added dimension of photo-bleaching enables scientists to use 2-3 times more types of fluorescent molecules, all in one sample. This lets us extract far more information from a single investigation." "Researchers will be able to design more informative tests – for example, highlighting five targets when only two were previously practical. They will no longer have to avoid using two fluorophores with the same colour, since a difference in photostability alone is enough to distinguish between the two targets," he says. Traditionally, the phenomenon of photobleaching (or fading) has been detrimental to the fluorescent microscopy process. This is where high-intensity and ongoing illumination from the microscope permanently destroys a fluorophore's ability to fluoresce so that imaging of the cell target becomes impossible. 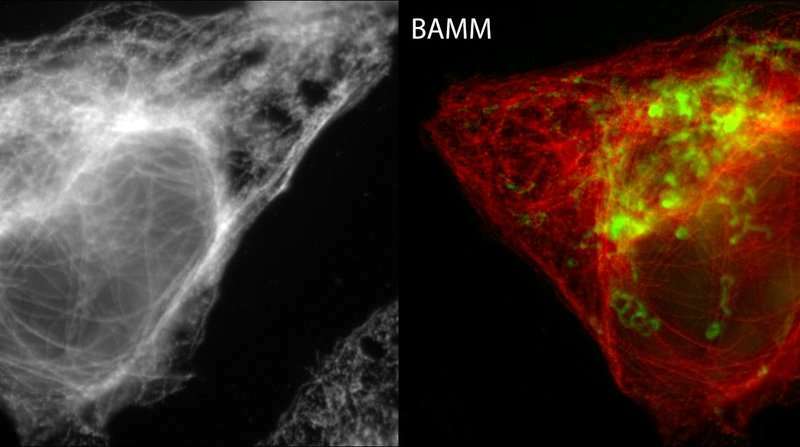 "BAMM transforms photobleaching from a long-standing weakness of fluorescence microscopy into a significant strength to allow increased identification of cellular targets," says Dr. Orth. "BAMM doesn't require any additional hardware, it's comparatively simple to do and doesn't require any specialised sample preparation. 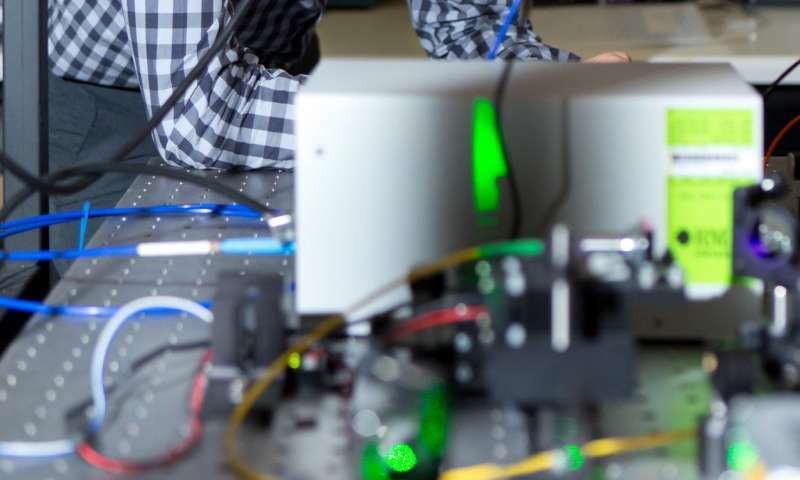 It's an extremely exciting new approach which has the potential to benefit all fluorescence microscopy users and their exploratory science," he says.